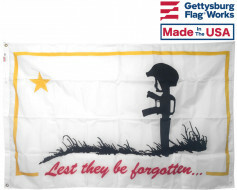 Printed flag with header & grommets for mounting. Single sided with reverse image on back. Extra stitching on fly end for longer life.